Use this property search to narrow your search results by property type, status, locality, building and / or lot size. There are 11 out of 71 properties displayed. 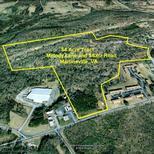 Property lies North of Stultz Road and West of Melody Lane in Henry County, VA. Just outside the City of Martinsville. 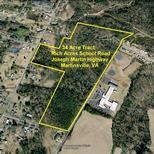 This parcel is West of Rives Road in the City of Martinsville. It borders the Norfolk Southern railroad on it Western boundary. Property lies at the intersection of US 58 (A.L. Philpott Highway) and Club House Road. Improvements include a horse barn and riding ring. Property is across from Rich Acres Elementary School. 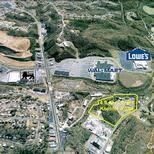 It was clear cut in 2010 and has residential development potential. 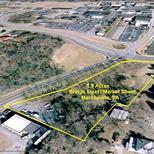 Property is on the East side of US 220 Business (Memorial Boulevard). Previously leased for use as athletic fields. Property has 4 full sized fields, storage sheds and parking areas. 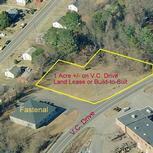 This parcel is zoned B1 and is in close proximity to Virginia Avenue and Commonwealth Boulevard. 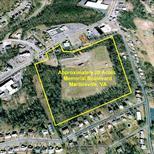 1.6 Acre Lot in City of Martinsville. 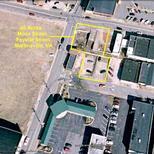 Lot lies in close proximity to Martinsville Municipal Building, Church Street Post Office and New College Institute. 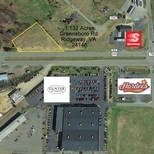 Prime 1.132 Acre Lot in Ridgeway, VA on Greensboro Road. 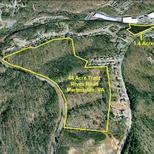 Property is zoned B-1, graded and all utilities are available. Lots are located across from the Farmers' Market and are in close proximity to the City Municipal Building and New College Institute. 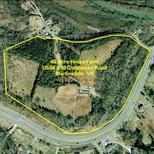 This well located parcel is only 1/5 of a mile from Commonwealth Boulevard in Henry County, VA. It is available as a ground lease or as a build-to-suit.